Are you interested in applying to Spaceworks’ Creative Enterprise Program? Do you have questions about the application, training program or space? Want to see a Spaceworks Creative Enterprise in action? Then stop by and talk with Spaceworks staff this Saturday, October 25 at Destiny City Comics! Spaceworks Manager Heather Joy will be available for a one-on-one Q&A about the Creative Enterprise Program during “Halloween Comic Fest” at Destiny City Comics. 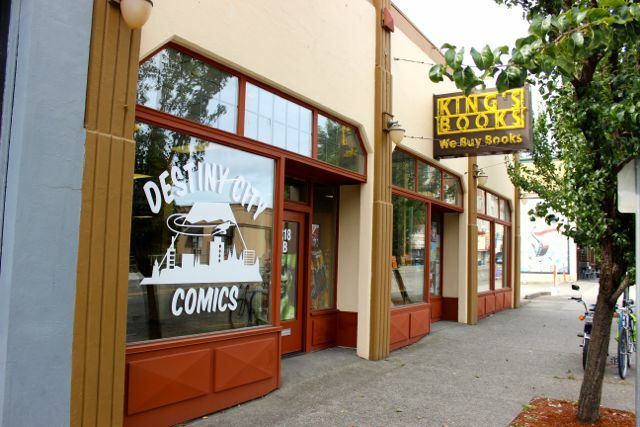 This brand new comic shop was started by Spaceworks participant Michael Fitzgerald, and is located next to King’s Books at 218 St. Helens Avenue, Tacoma, WA. There will be free comics and local artists set up too!